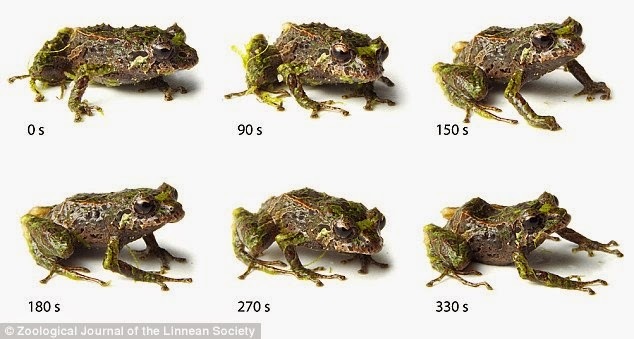 Scientists discover new species of amazing frogs that such a frog that can be changed by changing the texture of the skin. Scientists hypothesis, the useful ability to protect themselves from predators. Katherin Krynak, doctoral student at Case Western Reserve University, and her husband, Tim Krynak, project manager at Cleveland Metroparks Natural Resources Division, they first encountered the frog was in 2006 at the Reserva Las Gralarias in Ecuador. When first encountered, the frog looks as thorn-skinned animal because its surface is filled structure similar sharp thorns. Katherine itself dub the frog as "punk rocker". The next day, when Katherine collect and put the frog in a plastic container, the frog skins were changed so that apparently changed becomes smooth like plastic surface. "I then put the frogs back in the glass and add the moss. Suddenly 'thorn' re-appears, I can not believe that frog changes skin texture. I put frogs in a smooth surface and the skin becomes smoother," said Katherine. Over the next three years, a team of biologists studying the frog species. As reported on Monday, March 23, 2015, biologists reveal that the frog can change the texture of the skin in less than 3 minutes. They also studied the frog’s calls, finding three songs the species uses, which differentiate them from relatives. Katherine and Tim stated that the frog is a new species. They called the Mutable rainfrog (Pristimantis mutabilis). Publication will soon be published in the Zoological Journal of the Linnean Society. Surprisingly, P. mutabilis was not alone. their close relatives, Pristimantis sobetes it also has the ability to change form. 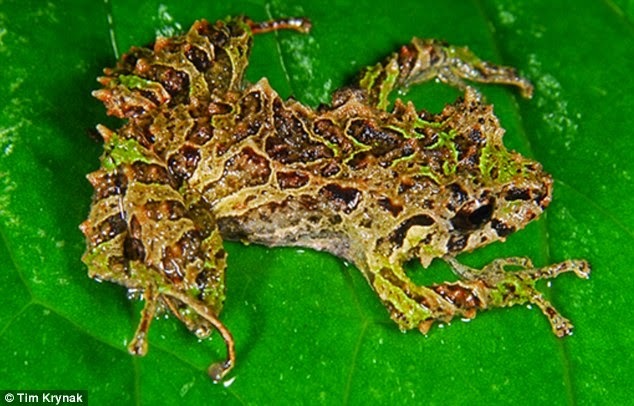 In addition, team members Dr Juan Guayasamin of Universidad Tecnológica Indoamérica and Dr Carl Hutter of the University of Kansas discovered that Pristimantis sobetes – a previously known species of frog with similar markings but about twice the size of Pristimantis mutabilis – has the same trait when they placed a spiny specimen on a sheet and watched its skin turn smooth.